The Lazarus Effect Trailer - Are You Screening? 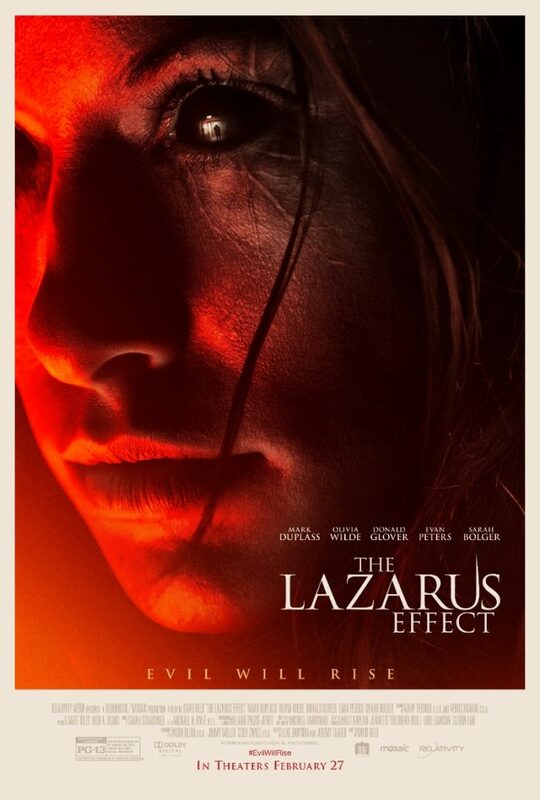 The Lazarus Effect, apart from feeling very familiar to me, is a film with an awful lot of people you ought to be interested in, which is nevertheless not making a gargantuan effort to get on your radar – for something that comes out in just over a month. It’s also a film that has so many odd notes (just in the cast and crew) that you’d think everyone would be talking about it. It’s a strange horror movie about bringing people back to life, and it is eerily similar to Flatliners. Not only is it about a bunch of scientists who are trying to bring things, and then people, back to life, but it has a similarly non-horror cast. Mark Duplass isn’t a name you associate with fairly odd sci-fi/horror, and neither is Donald Glover. Seriously, Donald Glover. The film also stars Olivia Wilde, Evan Peters and Sarah Bolger. Also odd, perhaps, it’s directed by David Gelb, who offers you little reason to know his name beyond the documentary Jiro Dreams of Sushi. A very good film, but not exactly something that clues you in to the horror film that follows it. Take a look at the trailer, and let me know what you think.